Prophets, popes, saints, and sinners continue to inspire and intrigue this internationally acclaimed author. In Messiahs, Hogue goes further than ever before to deconstruct established religious beliefs. Messiahs examines and questions the many messages and messengers from every tradition in an extraordinarily fresh and insightful way. 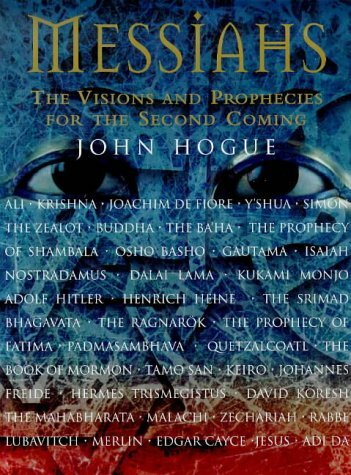 Hogue aims to turn your perception of messiahs upside down using a thought-provoking interface of text, prophecies, and cutting-edge illustrations. Messiahs is specifically designed as an evocative fusion of words and images to celebrate the apocalypse. 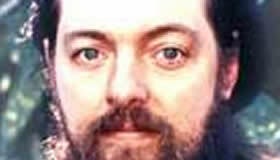 But, as John Hogue asks: ìAre we being programmed to miss the messiah again? Characteristically weaving witticisms with frank discussion, Hogue provocatively sets out to rouse us from the religious dreamscape of our spiritual slumber. Destination: The Pearly Gates or Heaven’s Gate? HOPE ,,IS WHAT I HAVE TODAY FOR MANKIND ON PLANET EARTH…HOPE THAT MANKIND WILL FIND THE NEW CONSCIOUSNESS AVAILABLE TO HIM,IN A HIGHER MIND ,AVAILABLE…..[,to him] ..NOW IN TIME. R u aware of the great pyramid calendars dates matching those of Daniels?? Predicting both Christ’s coming date and the same return year??? Biggest news ever. Not mentioned anywhere ! Exact matches. He came again while we sleep still n do u know? Always a pleasure to read what you write. I have made many changes in my life style and my way of thinking after reading many many of your articles and books. The way I prepare my family for what is to come came from what you’ve written. You’re correct when you speak of our leaders. Personally I don’t think man should rule man. Order…yes eight and a half million laws over us but yet we are “free”. I agree with you that we not only as a nation but as a planet should change our direction in which we are heading. Too many wars too much hate too many crooks in office have put us on the path we are on now. People will believe anything the “mayhem media” tells them and not once think for themselves “this doesn’t make sense”. The powers that be and their bottomless pockets need to keep feeding their hungry war machine. When there is peace there is no money to be made. The economy thrives on chaos. I enjoy your articles and appreciate the time you take to write them and mostly for ringing the warning bell and trying to get people to slow down and think for themselves. I read a while back about the meditation you do. I’d like to know how to meditate and be one with my mind and body. I believe it would help me to be a better person father and husband. Thanks for all you do john. You’re very much appreciated. You are most welcome, Marc. Beware those who would use this kind of terminology. “Slaves to Goodness” is another example. The righteous are not tyrannical. God is not a fascist. Only the evil ones would call the victorious God a dictator for not allowing evil to reign. Spoken like a true religious fascist. Fascists loved to use hail “victory” (Sieg Heil) in German or Mussolini’s term “La Victoria!” in his regime. We can all thank Mussolini for without him the modern Vatican State would never have been born through the Lateran Treaty of 1929. Everyone hail Mussolini, hail victory unto God! Sieg Heil Gott!